Did you mean: journey who's crying now (87 items)? 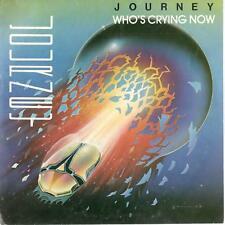 Journey who's crying now - 45 Record Vinyl Album 7"
This page was last updated: 25-Apr 19:38. Number of bids and bid amounts may be slightly out of date. See each listing for international shipping options and costs.